It’s almost 12 hours since the launch of what promises to be the most controversial phone in the world this year, and we’re as confused as everyone else. Nothing adds up about the Rs. 251 phone, not even the price tag. Here’s why. It’s apparently a product of Adcom, a company known for Chinese rebranded phones. These guys have redefined EMIs and half-off – just buy half the phone? They booked full page ads, but can’t handle one second of internet traffic. Orders opened at 6 AM today. At 6.01 AM, the site was offline for most, who took to Twitter to whine and outrage. 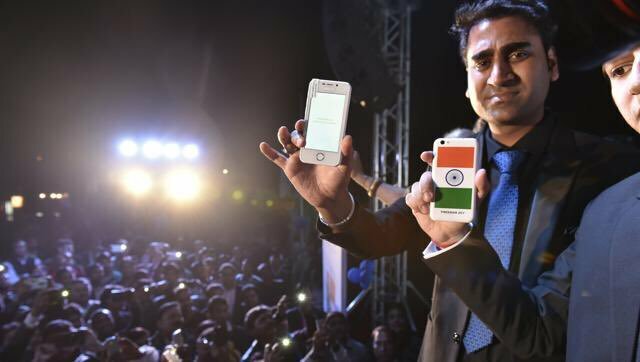 Such server stupidity, for a budget phone, for a country with the size and cheapest-first greediness of India is unprecedented. There’s no creative inspiration here – the company has reportedly straight up lifted icons (including the web browser, calculator, camera and email) from Apple’s iOS. if Apple sues, you can say goodbye to your budget phone dreams. How the heck are they planning to make money? Download XMOD Games APK 2.3.6 for Android & iOS.